The fifth anniversary of the 2011 Queensland floods has just passed and in couple of weeks we’ll have a chance for yet another reflection; the 10th anniversary of Cyclone Larry that took place in North Queensland in March 2006. To add some global perspective, we don’t need to travel far. 22 February marked the fifth anniversary of the Christchurch earthquakes which inflicted an economic loss to New Zealand of approximately $NZ40 billion. 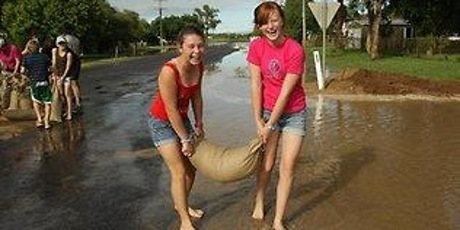 The cost of Queensland floods was estimated at over $10bn just in property and infrastructure damage. Additionally economic losses were over $30bn. The floods, combined with the effects of Cyclone Yasi, cost more than $4.bn Queensland’s GDP for 2010-11. Some have pointed out that with that money we could have funded, not one but two, Snowy Mountain nation-building schemes. In general, natural disasters currently cost Australia $6billion per annum – a number that is expected to triple in 30 years’ time. “Good for her. Great for us. There are many angles that can be examined when it comes to the effects of natural disasters. As we approach Queensland Women’s Week (7-11 March) and International Women’s Day (8 March), I would like to use this opportunity to focus on women and disasters. To begin with, it may be worth reflecting on a recent report by the UN Population Fund called Shelter from the Story. Among many vital points, the report states that disasters impact women and men differently. As a result, humanitarian responses are not effective as they should be. Women do not fare well in disasters. Take a look at this statistic; during the Boxing Day tsunami in 2004, up to four women died for every man in hard-hit Aceh, Indonesia. One contributing factor was the fact that women in Indonesia do not usually learn how to swim or climb trees. Another interesting and telling story about the effects of natural disasters on women is told through The Women’s Resilience Index (WRI). The WRI is a joint project by ActionAid, The Economist Intelligence Unit (EIU) and the Australian Department for Foreign Affairs and Trade. It assesses a country’s capacity for risk reduction in disaster and recovery, and the extent to which women are considered in the national rebuilding efforts. The index points towards a major disparity between, say, Pakistan and Japan, which further elicits critical factors affecting women in some regions of the world. I could go on but the list is too long. However, when we consider all these findings we certainly cannot ignore the fact that there is room for better action, better policy and a major shift in the way we account for a resilient society. Perhaps this was best articulated by Philippines Senator Loren Legarda at the World Assembly for Women 2014 in Tokyo, convened by Prime Minister Shinzo Abe, when she asserted that “Women have the ability to lead their communities towards resilience. In fact, there are many best practices led by women in many nations, including the Philippines.” Furthermore, some like the Pan-American Health Organisation (which acts as a regional WHO organisation) argue that women are better in mobilising communities to respond to disasters. Resilience to major disruptions, including pervasive natural disasters, has already shaped up to be a key priority globally. Be it resilience in the workplace, city, community at large or a whole country, it is without any doubt clear that gender issues have to be better integrated into policy settings, together with investment in pragmatic programs. After all, an inclusive society is the mark of a resilient society. And that is where socio-economic prosperity starts. ← SO you are interested in resilience?